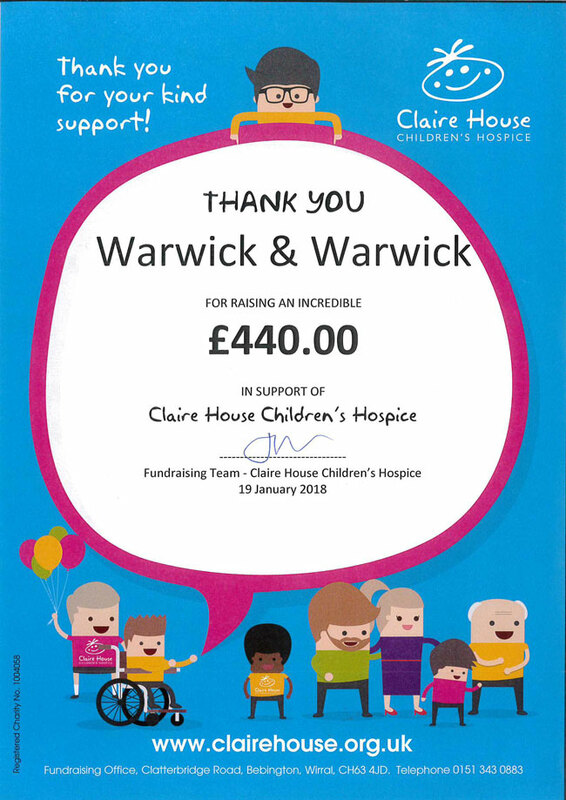 We are excited to announce that the customers and vendors of Warwick & Warwick have raised £440 for Claire House Children’s Hospice, in our recent sales. The lots included collections of modest value properties, combined together, to form a saleable lot for charity. We would like to extend a warm thank you to all whom have made this possible and hope to see great causes like the Claire house Children’s Hospice benefit in the future.